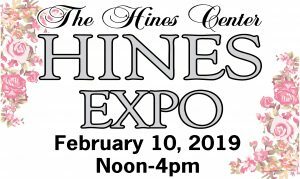 Please come join us at our 2nd annual Hines Expo. This is a chance to have a look at our amazing space and all we have to offer. Here you can check out vendors for your future events. You’ll have a chance to talk to the Event Coordinator of The Hines Center to answer any questions you have about the center. Hope to see you all there.